Tom Cadman, Tuesday’s MOTM, in action against Dorking Wanderers. We return to Bostik Premier League action with a trip to Essex. This Saturday, the Hillians make the 234 mile round trip to the Taydal Stadium, as we face Brightlingsea Regent in our Bostik Premier League fixture – 3pm kick off. 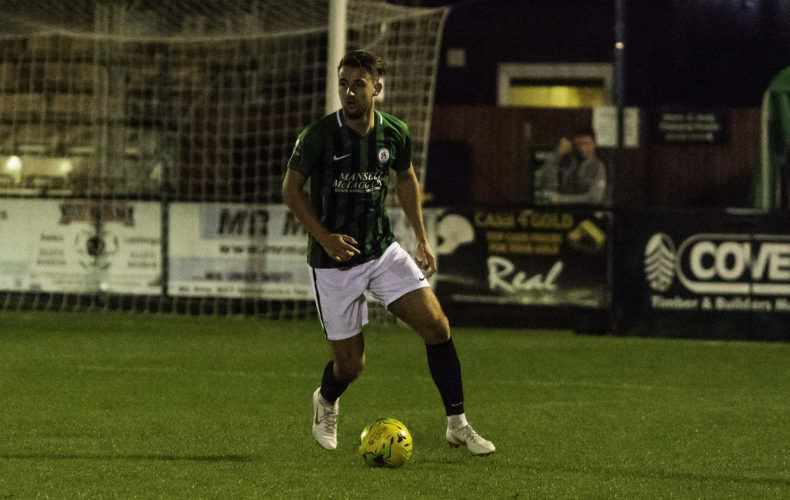 Simon Wormull will have been impressed with his side’s professional display in the Velocity Trophy on Tuesday evening, as we progressed into the Quarter-Finals with a 2-0 victory over Hythe Town. Our hosts currently sit in 21st position, one spot below the Hillians and only one point adrift. The R’s have failed to register a home win so far this season, picking up 12 of their 13 points away from home. Safe journey to all you Hillians planning on making the trip to Essex on Saturday, the Management Team & Players wanted to personally thank you after Tuesday night’s victory – as you’ve been unbelievable all season.